Cat #20477 | I Want To Draw a Cat For You! 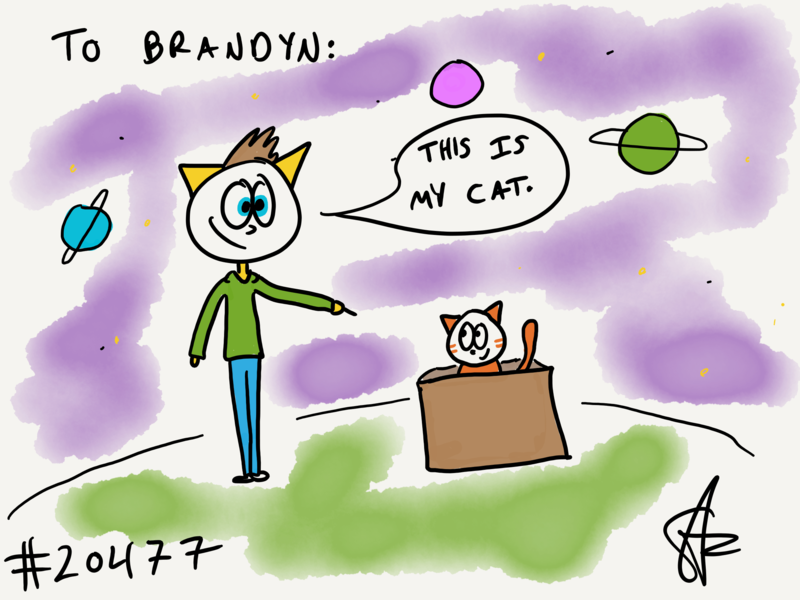 Brandyn wanted a cat in outer space pointing to his boxed cat! Whoopy!